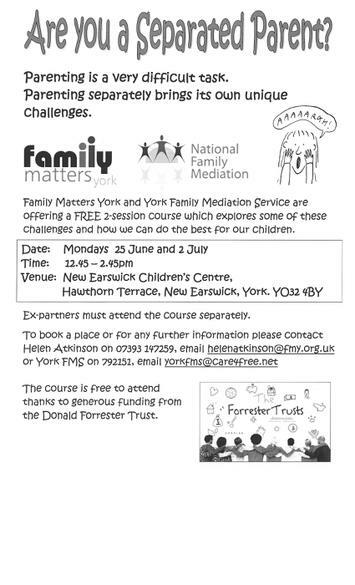 Separated Parents Mondays 25/6, 2/7 12.45 – 2.45 at New Earswick Children’s Centre funded by the Donald Forrester Trust. 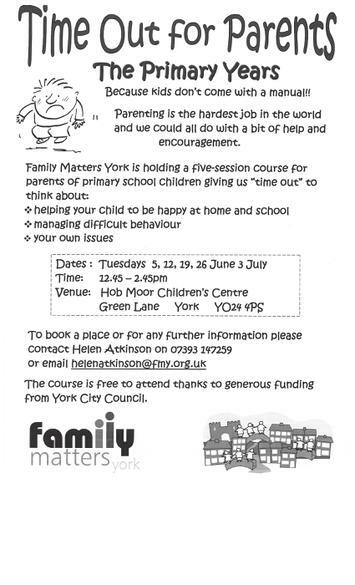 Time Out for Parents – the Primary Years Tuesdays 5, 12, 19, 26 June and 3 July 12.45 – 2.45 at Hob Moor Children’s Centre funded by the City of York Council. 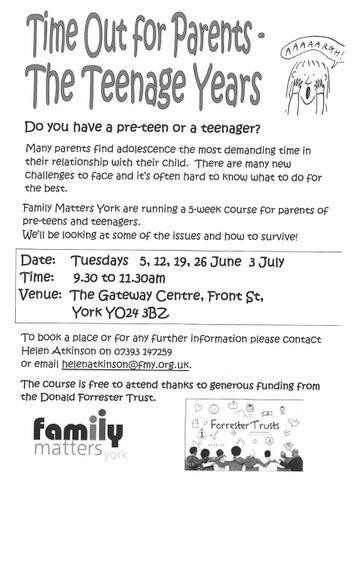 Time Out for Parents – the Teenage Years Tuesdays 5, 12, 19, 26 June and 3 July 9.30 – 11.30 at the Gateway Centre funded by the Donald Forrester Trust. 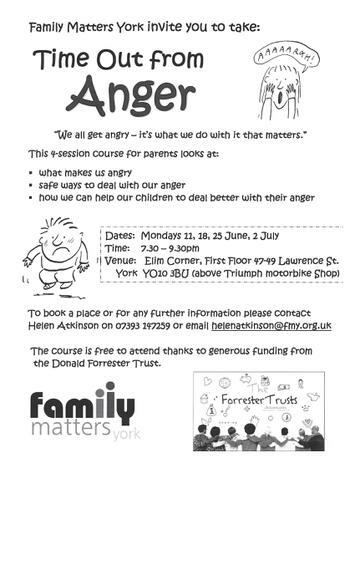 Time Out from Anger Mondays 11, 18, 25 June 2 July 7.30 – 9.30pm at Elim Corner funded by the Donald Forrester Trust. 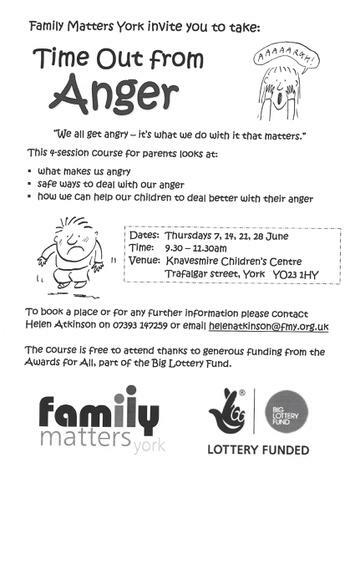 Time Out from Anger Thursdays 7, 14, 21, 28 June 9.30 – 11.30am Knavesmire Children’s Centre funded by Awards for All.